These are the first 10 golden rules of golf. 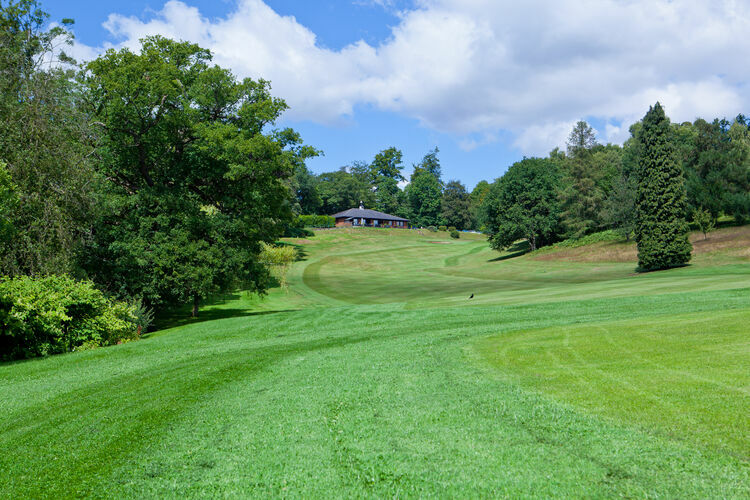 They are relatively straightforward and if you can observe these, then you will be welcome on most golf courses in the country and especially so here at Dorking. They will also help you to get the most enjoyment out of your golf. 1. Avoid talking, moving or making a distraction when a player is lining up or about to take their shot. 2. Enjoy your game but avoid shouting across the course as another player may be about to take a shot. 3. Don't play out of turn - the furthest ball from the hole is played first. Note this rule will be changing. 4. On the green, don’t stand on or walk across the player’s putting line between ball and hole - shoe imprints can slow or divert their putt. 5. Stay outside a player’s line of sight when they are playing a shot or putting. 6. In the summer, avoid your shadow being across their putting line. 7. If someone points out something you are doing wrong, don't be offended - they are simply trying to help. 8. At the end of the round and / or when the match is over, remove your glove (if on the right hand) and cap and shake hands with your opponent(s) and playing partner. 1. Always try to keep up with the game ahead of you. Don't take your shots whilst they are still in range but instead you should at least be aiming to be on the tee as the group in front is on the next tee. 2. As you are walking up to your ball, think about your next shot and what club you might take. Don't start thinking about it only when you get to your ball. 3. Be ready to take your shot as soon as it is your turn. 4. Avoid standing on the green filling out your scorecard or discussing the hole. Clear the green promptly so that the following game can play onto the green. 5. Don't all search for the same lost ball if you may also need to look for one of the others. Split yourselves up to look for both balls at the same time. 6. If the group behind you are quicker, you may consider allowing them to play through and then slot in behind them. This is especially relevant when looking for a lost ball. 7. The 8th hole is a call-up hole. Once you are all on the green and if you have not yet started putting and the following group are waiting on the 8th tee; leave the flag in, stand away from the green and wave them over. Once they have tee'd off you can then putt out and finish the hole. 8. Avoid leaving your trolley or bag in front of the greens - this will hold up the group behind. E.g. On 2nd hole, either take your bag with you or leave the bag at the bottom of the slope on the far left. On the 8th hole leave bags under the tree on the left or to the side of the green when calling up the group behind. 9. If you are on a green and have started putting, you can elect to continue putting out - even if you are not the furthest from the hole. 10. If you are just practicing (i.e. not submitting your card for a stroke play competition or to get your handicap), and you have already played lots of strokes on a hole you may decide to pick up your ball and continue to the next tee. Golf should be fun to play and keeping your sense of humour means that others will enjoy playing with you. 1. 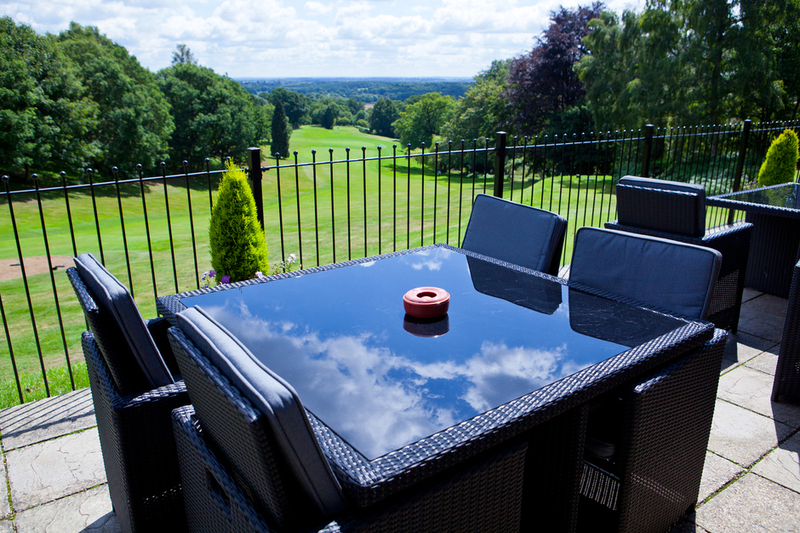 Repair pitch marks on the greens – you can buy a stylish Dorking Golf Club pitchmark repair tool behind the bar. 3. ……… but divots on tee boxes should not be replaced, instead repair with grass seed if available (during the summer, seed is in the green coloured boxes beside some of the tees). 4. 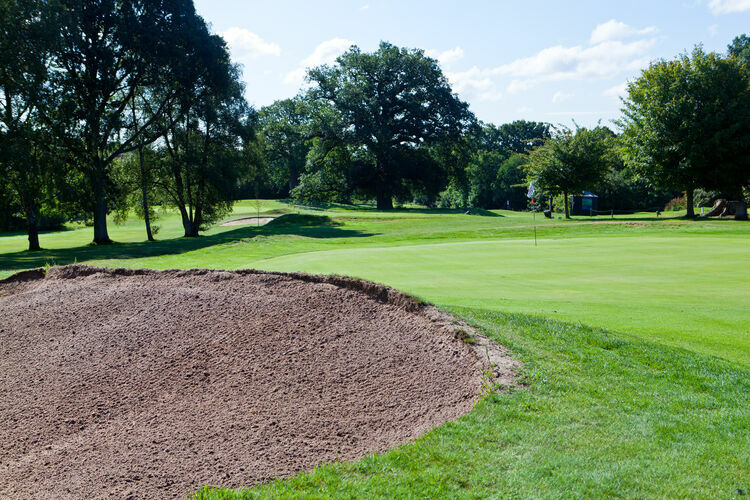 Avoid placing bags or wheeling trolleys across the tee boxes and the greens …… this includes any temporary greens and the Ladies 5th tee box protected by the new wooden rail. 5. Do not cross the white lines with any trolleys or buggies and follow the white arrows. 7. Do not climb up or down the banks by the tee boxes and the banks protecting the greens – you may damage the banks and / or injure yourself. Use the steps or path instead. 8. If you land on a GUR (“Ground Under Repair”) area, lift your ball and take a free drop either in the DZ (“Dropping Zone”) if one exists, or to the side of the GUR area but no nearer the hole. 9. 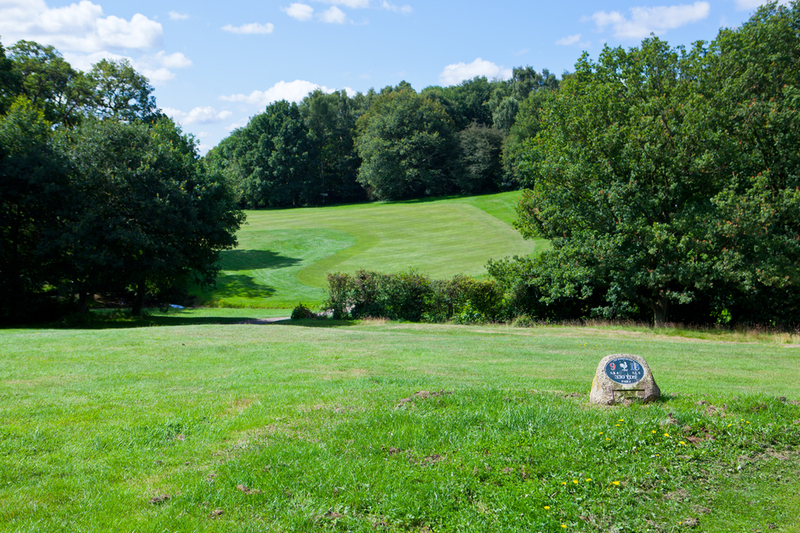 If you land on the wrong green, take a free drop to the side of the green and no nearer the hole you are playing. 10. Respect the signage that states whether buggies or trolleys are allowable and use winter wheels on your trolley (if possible) when requested to do so. 1. Mark your ball with some distinct marks, patterns or initials so that you can easily recognise it. Use a permanent marker pen (e.g. a "Sharpie" pen). 2. Declare what ball you have to your playing partners before you tee off (e.g. I'm playing a Srixon 2 with 3 blue dots). 3. …… if you play a provisional ball, make sure it is different to the original ball (so that you can distinguish between the two) and declare it (e.g. I'm playing a provisional Srixon 4 with 3 blue dots). 4. Always confirm that it is your ball before you play it. If you are in any doubt and cannot see your markings, do not move the ball, but ask your opponent to come and check it for you. 5. If you do play the wrong ball, you must replace it where it was and incur a penalty of 2 strokes. 6. 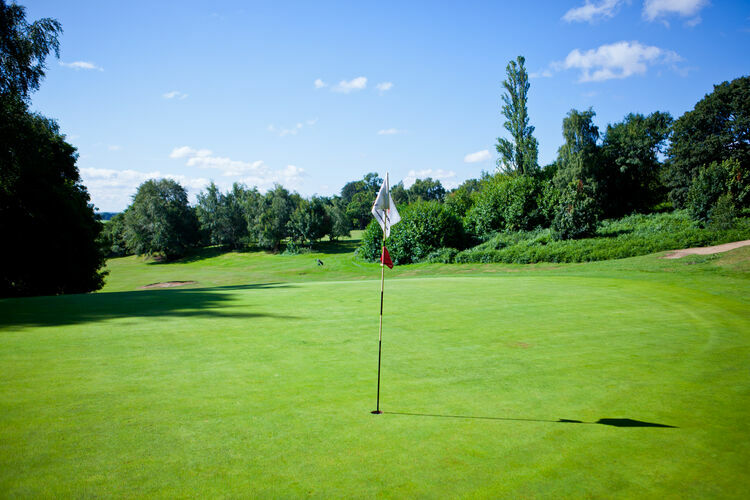 If you see a spare ball on the course, leave it where it is unless you are absolutely certain it is lost. It may well be the ball of someone playing another hole. 7. If you do find a lost ball with the initials “DL” (there are plenty of them out there ! ), then Dave Langford would be most grateful for its safe return. Golf can be a frustrating game. When you finish your round of golf, don’t get depressed about the bad shots but instead always remember the good one(s). Those are the ones to take home with you …… that is what keeps us coming back each week. Even the professionals are simply trying to minimise or eliminate their poor shots. 1. Before taking a practice swing make sure there is no-one standing behind you. 2. Only take a shot when there is no danger of hitting anyone with the ball – golfers, walkers and spectators alike. 3. Stand at least 2 club lengths away from someone about to take a practice swing or a shot. Don't stand beside them (a ball struck with the toe of the club can fly off at 90 degrees). 4. Keep up with the game in front but don't take your shot until the players are well out of range. 5. Don’t get ahead of the person playing the ball. 6. Always keep your eyes open and stop before walking across the cross-over holes (e.g. 8th fairway when people are teeing off 9th tee). 7. Before teeing off the 5th, make sure the game in front is clear. If searching for a ball on 5th leave a bag or trolley on the fairway so it can be seen by the game behind. Once clear of the 5th green, ring the bell (the green metal tube pinned to the tree behind the green). 8. If you are in any doubt that your ball could hit someone or you lose sight of it, shout “Fore” immediately and very loudly. If you hear a shout of “Fore”, duck and cover your head. 3. If playing in a club match, the captain will notify you in advance of the agreed dress code for the meal after the match. This was traditionally jacket and tie for the men, increasingly common is smart casual; occasionally there may be no need to change. 6. Caps and hats not to be worn in the clubhouse, unless it's the Christmas lunch ! 1. Always keep a count of how many strokes you have played. Be especially careful to remember the lost ball off the tee, any "air shots" or any poor shots that didn't go very far. 2. If you lose a ball or it goes out of bounds, you cannot simply drop another ball at the point you lost it - if you have not already played a provisional ball, then you need to re-play from where the lost ball was struck (one penalty stroke). 3. Unless it is winter rules and the ball is on the fairway, you cannot lift, move or clean your ball until you are on the green. 6. If your ball is unplayable you can lift and drop the ball within two clubs from where the ball was lying but no nearer the hole (one penalty stroke). 7. You cannot tread down live vegetation in the rough to improve the lie or improve your swing. This is the most important rule of all. If you are enjoying your golf and observing the rules above, then others will enjoy playing with you.